Transition options you should be aware of now, to plan for your succession in the future. Thursday, March 19th 2015 – 8:00 am – 4:25 pm followed by Networking Reception & Harpoon Beer Tasting, Register Now! Join us on March 19th at the annual XPX Summit. The day long event will lead you through the path of succession. Learn from a variety of business owners and advisors who have chosen different transition options. Gather insights of what they learned along the way. 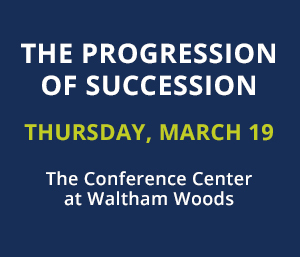 Our speakers have taken different paths on the road to succession and ownership transition, they represent both Boston based and national companies. Additional speakers will be announced shortly. In a highly interactive format, the panelists will share the factors that determine a successful plan and outcome. Panel #1 – Organizational Efficiency and Business Growth: Internal? Joint Venture? Lean?